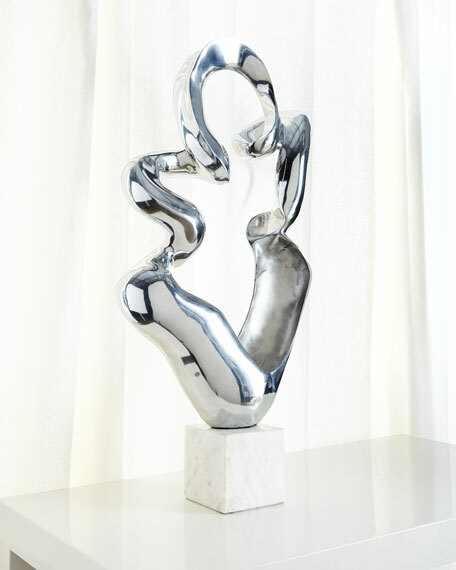 Filled with movement, this freeform polished aluminum sculpture is perched on a white marble base. 19"W x 6.5"D x 37.5"T.
Boxed weight, approximately 45 lbs. 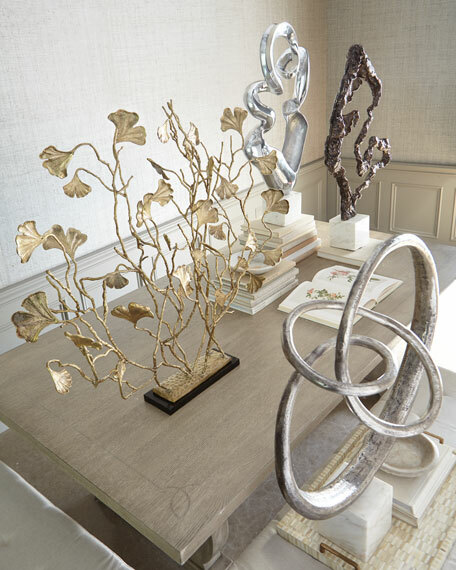 Founded in 1980 in Greenwood, Mississippi, the John-Richard Collection is known for a strong design staff that travels the world for inspiration. Channeling cultural and historical influences, the company creates distinctive artisan-crafted furniture, lighting, wall art, mirrors, and decorative accessories that make a lasting impression. What's more, an eye for future trends in luxury home furnishing sets the John-Richard Collection apart. They skillfully blend the best of what is new in home fashion with the great designs of the past, resulting in updated designs that fit perfectly with an array of styles.